Extinction is a bummer. Let’s bring back the dead. BEN NOVAK WAS in a bookstore at the age of 13, thumbing through an oversize volume from the National Audubon Society, when he saw the photograph that changed his life. The picture was small, but the bird at its center was grand: the blue crown, the bronze neck, the wings cocked just so. It was a passenger pigeon, Novak read, and it had once roamed North America in flocks of almost unimaginable size. Millions at a time. So many they blotted out the sun. Early settlers looking up into the maw saw omens of impending plague. And then, in a matter of decades, the flocks were gone — slaughtered by hunters, packed into barrels, and shipped to market by railroad car. Food for a nation on the march. In 1914, the last of the species, nicknamed Martha, died in a Cincinnati zoo, four years after her only companion, George. She seemed a little withdrawn at the end. A little forlorn. Visitors would throw sand to provoke a reaction. Novak looked again at the bird in the photograph. It turned out it wasn’t even real — just an artful piece of taxidermy from a museum display. A “sad substitute,” as the caption put it, for the real thing. The boy in the bookstore closed the volume and made his way to the register. This was the start of a lifelong quest. 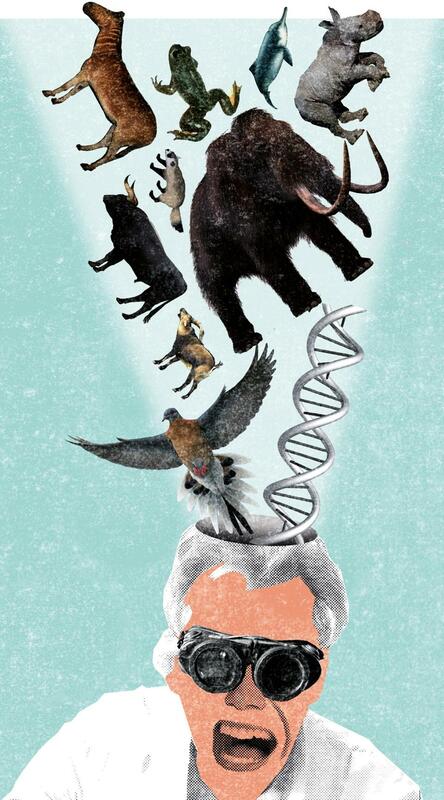 Novak, now 30, has emerged as one of the world’s leading advocates for “de-extinction” — using modern genomics to bring back the passenger pigeon, the woolly mammoth, and other species extirpated by spear, shotgun, or climate change. Spend a little time with him and he’ll spool out all kinds of arguments for resurrection, most of them ecological — these animals will help to restore faded habitat, he says, and might even aid in the fight against climate change. He believes in those arguments; some of them, he makes pretty convincingly. But it’s clear that Novak is driven, in no small part, by his childhood passions. By his sense of wonder. And lots of people, if we’re being honest, are drawn to de-extinction for similar reasons. If we bring back long-lost creatures, we’ll do it for science. But we’ll also do it to sate our curiosity. We’ll do it because it would be awe-inspiring to see a mammoth prowling the tundra again or a giant flock of passenger pigeons darkening the sky. We need to acknowledge that before we go much further. Face up to it. And we need to ask ourselves a difficult question: Is human wonder really enough to justify a radical rewrite of the laws of nature? The answer for a growing number of thinkers is yes. Yes, it is. In 1999, a group of Spanish researchers trundled off to the Pyrenees and set a trap for Celia, the last of a species of feisty mountain goat called the bucardo. Putting the goat under general anesthesia, as Helen Pilcher describes in her book, “Bring Back the King: The New Science of De-Extinction,” they removed two slivers of skin. Celia would die a few months later when a falling tree crushed her skull. But she’d already given her species a shot at immortality. Scientists used her cells to create embryos — implanting them in the wombs of surrogate goats. On July 30, 2003, Celia’s clone was born — its heart beating for seven minutes before the world’s first resurrected species died off once more. The researchers’ work demonstrated that cloning technology — the same kind used to create Dolly the sheep — may allow scientists to bring back the extinct. It’s one of several methods. The team behind the so-called Uruz project is using selective breeding to create an animal that resembles the aurochs, an enormous, wild ox last seen roaming Poland in 1627. Other scientists are mining DNA from museum specimens, ancient bones, and centuries-old toenails in a bid to revive long-lost animals. It’s tricky. DNA that old is heavily degraded: an instruction manual torn into countless little scraps, some of them smeared with dirt and others lost forever. The aim is to piece it back together into a workable genome. In the case of the passenger pigeon, scientists are using the closest living relative — the band-tailed pigeon — as a guide. It’s an imperfect guide. Researchers will never know if they’ve got it exactly right. But when they think they’re close, they’ll edit the passenger pigeon-like DNA into band-tailed pigeon DNA, squeeze the cells into embryos and, if everything works out, hatch passenger pigeon chicks a couple of generations later. Even if Revive & Restore meets that ambitious goal, it would be some time before the pigeons are released into the wild. They’d have to be trained by a flock of band-tailed pigeons specially schooled in the ways of the passenger pigeon. Later, they’d move to aviaries, where they would be slowly exposed to bacteria and other animals. The throngs weren’t just noisy, they inflicted enormous damage — particularly on the Eastern forests they overran in search of beechnuts and acorns. Picture enormous swarms of birds obliterating entire canopies, thousands upon thousands of branches snapping in a single day as a thick layer of droppings accumulated below. But Novak’s argument is hardly airtight. There’s simply no way to know, for sure, how the bird would fare in a habitat altered, and altered, and altered again since Martha met her lonely end in that Cincinnati zoo. The environmental argument for the another high-profile candidate for resurrection — the woolly mammoth — is even more problematic. Big herds of these megafauna could punch holes in the snow of the Arctic steppe, exposing the ground to colder air and keeping the permafrost from melting. That would be no small thing. There is a huge amount of organic carbon locked up in the permafrost, and a warming planet could release it and trigger a calamitous acceleration of climate change. The trouble, critics say, is that it could take decades or even centuries to bring back the mammoth in large numbers, and by then, it will be too late to save the permafrost — and too late to save the planet. “This kind of effort — as charming as it is, and as interesting as it is — is not going to have the desired effect,” says Ross MacPhee, curator of the department of mammalogy at the Museum of Natural History in New York. Why proceed if we can’t be sure of the benefits — much less the unintended consequences? De-extinctionists will have to convince us that it’s worth it to mess with nature, even if we’re not quite sure how it will turn out. 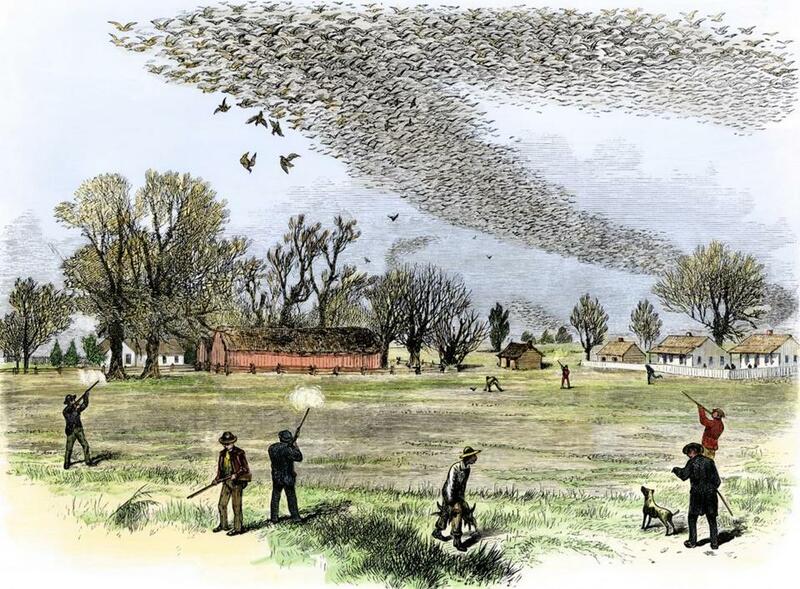 A passenger pigeon flock being hunted in Louisiana in 1875. NATURE, SAYS HANK Greely, is a system utterly enmeshed with humanity and irrevocably changed by it. “In the last 100,000 years, we have altered nature so fundamentally that, if you view nature as what humans haven’t changed — it’s gone,” says the director of the Stanford Center for Law and the Biosciences. Even the most obscure species in the most remote corners of the world have been touched by the climate change we’ve wrought. We must be active. And if we must be active, then we must accept our all-too-human motivations for acting. Guilt, wonder. These are powerful emotions that can be channeled for good — exploited, even. Here, the woolly mammoth project is valuable not because it presents any realistic hope for curbing global warming, but because it draws attention to the problem of protecting the permafrost. It’s already meant a healthy dose of publicity for one intriguing project: Pleistocene Park, a 50-square-mile sanctuary in Siberia run by a brawny Russian scientist who may one day host the mammoth — and is already hosting wild horses and bison busy restoring one small part of the steppe. It is possible, of course, for our curiosity to take us too far, to pull us in ethically dubious directions. That, says Jacob Sherkow, a bioethicist and professor at New York Law School, is why we have ethical guidelines. But the ethical arguments against de-extinction, he says, are just “not that strong.” “Jurassic Park” had its horrors, of course. But dinosaur DNA is too old to make revival a possibility. And there’s little reason to think the woolly mammoth, a lumbering herbivore, will be hunting the good people of the Arctic upon its return. There are also questions of animal welfare to sort through. 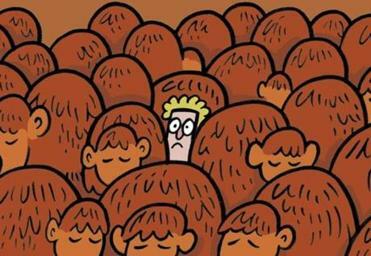 Some observers, for instance, fret about making the endangered Asian elephant — the closest living relative of the mammoth — a surrogate for the hairy beast. But Harvard geneticist George Church, the man behind the most promising effort to de-extinct the mammoth, is pledging to grow the animal in an artificial womb. THE ARGUMENT FOR adding de-extinction as a tool of conservation is not an argument for replacing it. With as many as 150 species vanishing per day, it’s clear that preservation is critical. Even the most ardent de-extinctionists concede that point. Indeed, one of the biggest concerns about de-extinction is its potential to undermine traditional conservation. Laws protecting endangered species are premised on the idea that if an animal dies off, it’s gone forever. So are donor appeals by wildlife organizations and grants issued by the federal government. Talk of reviving the dead could, in theory, upend all of that — particularly in the age of President Trump. “The last thing that I would want is for someone to say, ‘Why save the cheetah when we can just make the African savannah great again?’ ” Sherkow says. But the possibility of revival is already a subject of public conversation. “The worst of all possible worlds is people thinking it can be done when it can’t,” Greely says. What’s left, then, but to accelerate the effort — to get to the point where science can actually deliver on the dream of bringing back long-lost creatures? Acceleration could be costly, of course. But early indications are that de-extinction isn’t siphoning conservation resources, it’s developing new ones; the biggest donors to Revive & Restore aren’t traditional environmental philanthropists, but tech magnates intrigued by the cutting-edge science. A successful de-extinction could even be a boon for traditional conservation — injecting a bit of the wonder of revival into the dismal science of slowing the destruction of the biosphere. Indeed, she adds, the real benefit of de-extinction technology may be its potential to save animals that aren’t yet extinct. In New Zealand, she recently wrote, researchers are unlocking the genetic code of all 154 remaining kakapos — large, green, flightless parrots — and plan to use the information to guide a breeding program, mating only the most genetically distinct birds to produce the healthiest possible offspring. Conservationists are using genetics to bring black-footed ferrets back from the brink. And efforts to de-extinct the gastric brooding frog, an Australian creature that gave birth through its mouth, could yield lessons for rescuing other frogs. It could also be a boon to human health. Female gastric brooders turned off the secretion of stomach acid while incubating their young. There are plenty of people suffering from indigestion and gastric ulcers who probably wish they could do the same. BUT INDIGESTION AND ULCERS will not move the soul. That’s the sort of lesson that’s sometimes lost on scientific types. Novak, though, is not just a researcher. He’s an advocate who knows about the power of wonder. On a recent afternoon, after a long disquisition on the mechanics of de-extinction, he starts talking about nature and transcendence and the human experience. Throughout our history, he says, every culture has had a reverence for the animals in its midst. The Native Americans who followed the buffalo. The Spanish who still fight bulls. Novak says we’re attracted to the woolly mammoth not just because of its grandeur, but because of our ancient connection to the beast — because it showed up in our cave paintings tens of thousands of years ago. Mammoths are the subject of “some of our very first artistic expressions as human beings,” he says. They are our “awakening.” They represent an early recognition of our place in the web of life. Novak says there is something painful about seeing that web break apart and knowing we are to blame. But there is something we can do about it. We can restore the web — or, at least, do something resembling restoration.